Socio-Economic Review, Discussion Forum: “Brexit: understanding the socio-economic origins and consequences” , 2016, Vol. 14, n° 4, p. 836-845. The unprecedented geopolitical shift resulting from Brexit reflects deep socio-economic fault lines within and beyond the UK. In many ways foreshadowing the US presidential election of Donald Trump, Brexit brought to the surface and gave a public voice to socio-economic divisions that were deeply embedded, sometimes illogical, but until now had either been ignored or hushed out of ‘respectable’ public debate. This Discussion Forum emanates from a spontaneous seminar organized 2 days after the Brexit vote on June 25, 2016 as part of the SASE conference held in University of California–Berkeley and followed by an open call for papers by Socio-Economic Review. The papers here draw attention to the origins of the Brexit vote in deep-seated socio-economic divisions (O’Reilly), widening differences in economic performance across sectors and regions of the UK (Froud, Sukhdev and Williams) and the growth of poor quality jobs (Warhurst). Meanwhile, the political dynamics of the Brexit vote were also shaped by the fractured nature of UK business elites (Morgan), divisions between locals and cosmopolitans (Grey) and creative but muddled actions of elites that arguably generated consequences they themselves failed to fully anticipate (Wood and Wright). From the perspective of Europe, Brexit reflects a history of dysfunctional economic policy in Europe that prioritized market competition in ways that neglected and ultimately undermined solidarity (Boyer). Here, Brexit reflects a political strategy to both renationalize and recommodify solidarity in the face of fears over migration, and which are likely to have major consequences for social solidarity in Europe more generally (Frerichs and Sankari). However, Brexit is unlikely to provide a durable social and political solution to the wider tensions between globalization and democracy, which also affect all countries throughout Europe (Rona-Tas). Ultimately, the Brexit vote underlines social divisions that combine class inequalities with regional ones, not just in Britain but throughout Europe (Le Galès). In : Neostructuralism and heterodox thinking in Latin America and the Caribbean in the early twenty-first century, eds, Alicia Bárcena Antonio Prado, Economic Commission for Latin America and the Caribbean (ECLAC) Santiago, May 2016, Chap. , p. 273-297. Qu’est-ce qu’une crise financière ? in manual of critical economics, world diplomatic, Special Edition, 2016, p. 166-167. 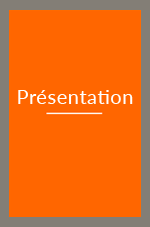 On Thursday, September 15, at 20 h 30, room of the Seneschal, presentation of the “Handbook of critical economy” with Renaud Lambert and Hélène Richard. By signing the failure of liberal theories, the financial meltdown of 2008 could encourage Western Governments to renew their economic policies. She has instead tightened the shackles of neoclassical economics, in the morning Chronicles as in textbooks. clear the horizon by recalling that other avenues open to us. Renaud Lambert and Hélène Richard are members of the editorial staff of the diplomatic world they both coordinated the realization of the critical economy manual. The diplomatic world is tackling misconceptions about free trade, finance, the sharing of wealth, etc. Inscrutable equations, enigmatic curves, nebulous reasoning… The dominant economy invites to a double renunciation: in front of the technical difficulties of a universe that is reserved for the experts, on the one hand; front of the immutable scientific “laws”, on the other. The contre-manuel of the ‘diplomatic world’ intends to reverse this logic. His ambition? Make it accessible to the larger economy and highlight the nature policy. In short, remember that, as the public thing, the economy is everyone’s business. And allow everyone to seize. There is urgency: by signing the failure of liberal theories, the financial meltdown of 2008 could encourage Western Governments to renew their economic policies. She has instead tightened the shackles of neoclassical economics, in the morning Chronicles as in textbooks. We have therefore gathered some of the specialists of the most lucid economy – researchers, teachers of University and high school students, journalists – around first and senior programs to offer ‘our’ treatment. Around four objectives: contribute a historical and international perspective often forgotten programs; introduce the analysis of schools of thought marginalized in universities and private access to the media; debunk conventional wisdom that install the fatalism in the minds; clear the horizon by recalling that other avenues open to us. Away from the dogmas, our manual invites to put the economy at the service of society. 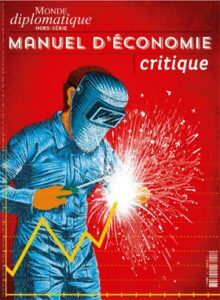 Samir Amin, Guillaume Barou, Aurélien Bernier, Sophie Bedford, John Bertrand, Robert Boyer, Benoit Bréville, Martine Boston, Mona Chollet, Laurent Shoemaker, François Denord, Xavier Devetter, Cedric Durand, Frédéric Farah, Cyrille Freeman, Jean Gadrey, Paul Guillibert, Serge Halimi, Michel Husson, Sabina Issehnane, Raoul Marc Jennar, Renaud Lambert, Serge Latouche, Frédéric Lebaron, Sylvain Leder, Frédéric Lemaire, Frédéric Lordon, Jean-Marie Monnier, Caroline Oudin-Bastide, Juan Miguel Pérez , Evelyne Pieiller, Michel clip and Monique Pinçon-Charlot, Dominique Plihon, Laura Raim, Christophe Ramaux, Gilles Raveaud, Mathias Reymond, Hélène Richard, Pierre Rimbert, François Ruffin, Pierre Salama, Emilie Sauguet, Alexis Spire, Philippe Steiner, Tinel Bruno, Julie Valentin, Julien Vercueil, Ibrahim Warde, Arnaud Zacharie, Daniel Zamora. What does a financial crisis? I. a science like the others? II. Produce more, always more! V. employment, at what price? La codétermination sera-t-elle la forme normale du gouvernement d’entreprise ?